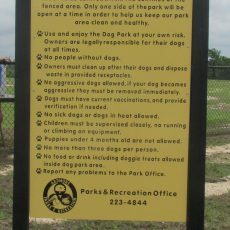 Awesome park for dogs to run and play. Great views of city lake, thru the trees. Shaded pavilion to sit and relax.